MAXWELL AIR FORCE BASE, Ala. — Members of Civil Air Patrol are proud to partner once more with Wreaths Across America, a nonprofit organization that recognizes the courage and sacrifices of U.S. veterans by placing wreaths on the graves of the fallen during the holiday season. This year, in tribute to the 25 million men and women who have served in the U.S. armed forces — guarding and preserving America’s freedom throughout history — Maine balsam wreaths will be placed on more than 325,000 veterans’ graves at 800-plus cemetery or memorial sites in all 50 states, as well as 20-plus foreign locations. “Our mission is to remember the fallen, honor those who serve and teach our children the value of freedom,” said Karen Worcester, executive director of Wreaths Across America. Wreaths Across America culminates on Dec. 15 with thousands of wreaths placed on gravesites at Arlington National Cemetery and at several of Arlington’s memorials, including the Tomb of the Unknowns. Simultaneous ceremonies will be held throughout the day at other veterans’ cemeteries and memorials nationwide and abroad. Twenty-one years ago, Morrill Worcester of Worcester Wreath Co. donated the first wreaths to Arlington National Cemetery, starting an annual tradition that continues today as Wreaths Across America. Wreaths Across America began in 2006 as an offshoot of Worcester Wreath Co.’s Arlington wreath project. Since its inception seven Decembers ago, Wreaths Across America has grown each holiday season and CAP has been a major partner. CAP helps find sponsors for the wreaths and its members also lead or participate in, often with color and honor guards, in many of the Wreaths Across America ceremonies. More than 600 CAP units across the country were involved in 2011, and even more are expected to participate in this year’s ceremonies. 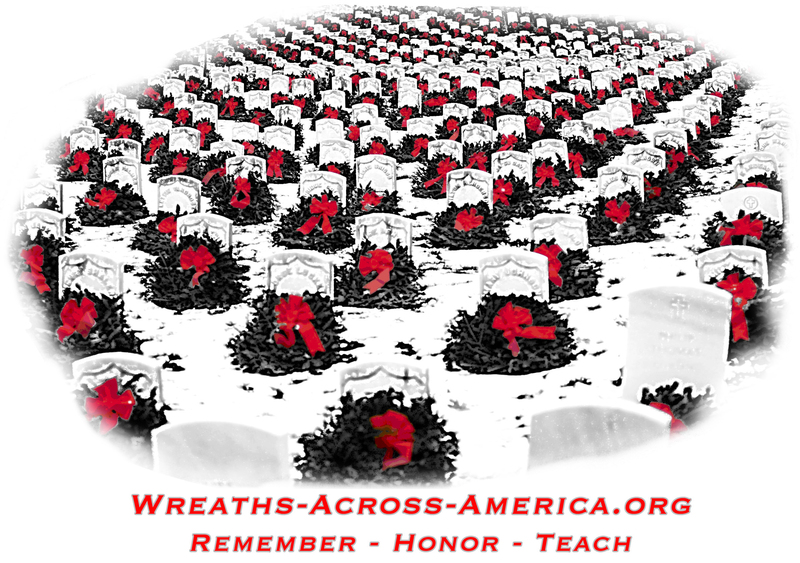 Visit www.wreathsacrossamerica.org for more information about Wreaths Across America and participating locations. Donations for Arlington wreaths are being accepted until Dec. 13 through Wreaths Across America’s website and through its Arlington Wreaths Facebook page – www.facebook.com/ArlingtonWreaths. Civil Air Patrol, the official auxiliary of the U.S. Air Force, is a nonprofit organization with more than 61,000 members nationwide, operating a fleet of 550 aircraft. CAP, in its Air Force auxiliary role, performs 90 percent of continental U.S. inland search and rescue missions as tasked by the Air Force Rescue Coordination Center and is credited by the AFRCC with saving an average of 80 lives annually. Its volunteer professionals also perform homeland security, disaster relief and drug interdiction missions at the request of federal, state and local agencies. The members play a leading role in aerospace education and serve as mentors to nearly 27,000 young people currently participating in the CAP cadet programs. CAP received the World Peace Prize in 2011 and has been performing missions for America for 71 years. Visit www.gocivilairpatrol.com orwww.capvolunteernow.com for more information.